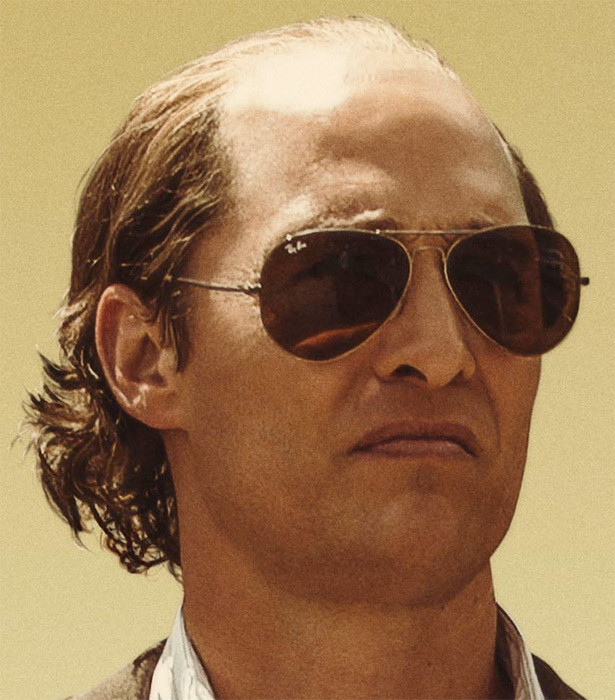 Matthew McConaughey wears Ray-Ban 3025 Aviator sunglasses throughout the movie Gold and on the movie poster as seen here. The Ray-Ban Aviator glasses in the film seem to have a Gunmetal color frame. 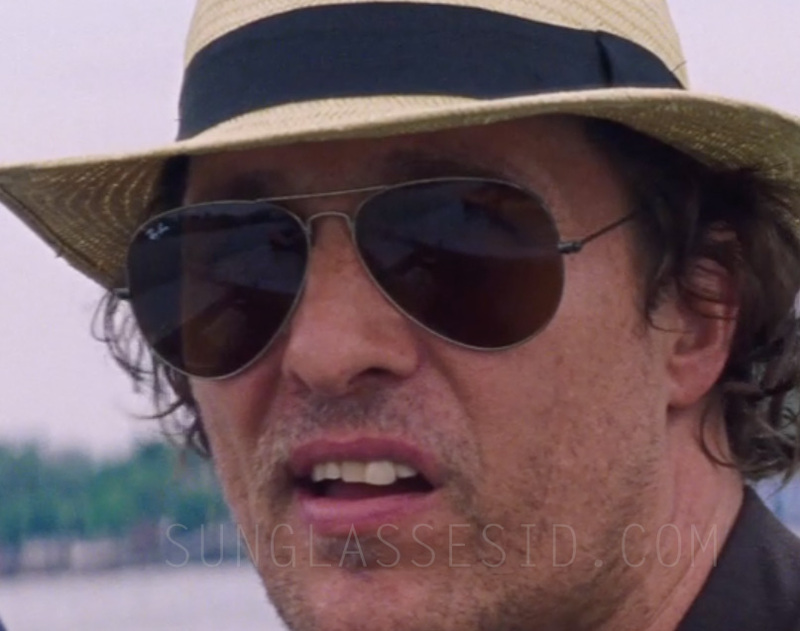 Matthew McConaughey wears Ray-Ban 3025 Aviator sunglasses throughout the movie Gold (2017). The glasses seem to have a dark frame, probably 'Gunmetal'. The sunglasses are an anachronism, not completely accurate for the time the movie is set in: Ray-Ban sunglasses in the 1980s didn't have the Ray-Ban logo on the left lens. Ray-Ban Aviators are one of the most popular frames in history, and can be spotted in many films. Over the years, several variations of these sunglasses have been released. Read our comparison article about the different models.